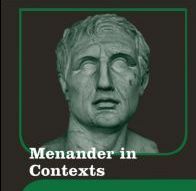 Just a plug for my forthcoming edition of Menander’s Samia (The Woman from Samos), being published this autumn by Cambridge University Press; see http://www.cambridge.org/gb/knowledge/isbn/item7257906/Menander%20Samia%20(The%20Woman%20From%20Samos%20)/site_locale=en_GB . This blog is produced by the Centre for Ancient Drama and its Reception. Through this blog we aim to promote research on Greek and Roman drama and its impact on later traditions, and provide commentary on related news and events.